The Swan River and Indian Ocean coast, where he learned to swim and surf, made an immediate and lasting impression on him. At Hale School he was captain of the school swimming team and editor of the school magazine, the Cygnet. Swimming and publishing have remained interests all his life. On his eighteenth birthday, already wishing to be a writer but unsure 'who was in charge of Writing', he joined The West Australian as a cadet reporter. Three years later he was recruited by The Age in Melbourne, and was made chief of that newspaper's Sydney bureau a year later, at twenty two. Sydney became home for him and his growing family, mostly in a small sandstone terrace in Euroka Street, North Sydney, where Henry Lawson had once lived. Our Sunshine was made into an international film, retitled Ned Kelly, directed by Gregor Jordan and starring Heath Ledger, Orlando Bloom and Naomi Watts. The Shark Net was adapted for an ABC/BBC-produced international television mini-series and a BBC radio drama. The Bodysurfers, also became a successful ABC and BBC TV mini-series and was adapted for radio and the theatre. The Bodysurfers and Our Sunshine have been republished internationally as Penguin Modern Classics. Published recently was a second volume of memoir, Montebello. His next book, The Local Wildlife -- humorous short, short stories of the Northern Rivers -- will be published by Hamish Hamilton/Penguin in July. Robert Drewe is also the editor of two international short-story anthologies, The Penguin Book of the Beach and The Penguin Book of the City, and edited Best Australian Stories in 2006 and 2007 and Best Australian Essays in 2010. He has been a Sydney Morning Herald film critic, and his play, South American Barbecue, was first performed at Sydney's Belvoir Street Theatre in 1991. 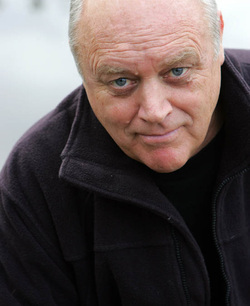 Robert Drewe now lives with his family on the far north coast of New South Wales.